SmartCommerce is a CPG eCommerce solution that works with leading CPG manufacturers like Procter & Gamble, Nestle and Unilever to drive online sales by drastically shortening the online path to purchase. After launching in the US in 2015, SmartCommerce enlisted the Thought Leadership experts at Write2Market for digital content creation, PR services and strategy beginning in March 2016. From web design to byline pitching, Write2Market is a leading PR and digital content marketing firm, with specialties in startups and technology companies. Starting from scratch can be intimidating. When SmartCommerce came to Write2Market, no social or PR content had yet been created, there were no Twitter followers, and website content needed to be created, as well. Write2Market went to work right away, strategizing with SmartCommerce to deliver key digital content, build a social media audience and execute a launch press release. Writing blogs and bylines, designing infographics, conducting surveys and creating video, Write2Market assembled and continues to maintain an engaged audience through compelling content. Content enables you to engage and entertain your audiences, increasing the chance that they spread the reach of the content by sharing or coming back for more by following or subscribing to your content. In just two years, Write2Market built an engaged social audience including >500 Twitter followers, putting SmartCommerce in the top 5% of all Twitter accounts. Write2Market has initiated LinkedIn efforts for SmartCommerce, including weekly posting and encouraging company sharing. 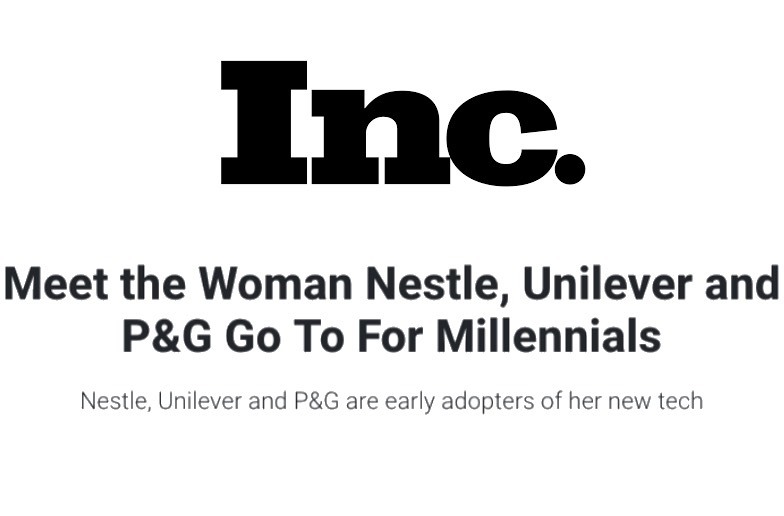 In the first three months, Write2Market landed eight contributed bylines for SmartCommerce including Retail TouchPoints, Marketing Profs and Inc. Bylines are a great way to earn exposure through Thought Leadership. The crucial aspect of earned content is that you have to put in the work to develop content concepts that are compelling. If it’s not topical, an editor isn’t going to publish it. Internal content, including weekly blogs and social media posts, must be held to the same standard. By focusing on Thought Leadership, Write2Market has delivered 48 earned bylines and interviews over the first 24 months of engagement. Write2Market helped SmartCommerce define their position and products through infographics, video and blog content. Blog content does double duty, providing Search Engine Optimization benefits to the website and driving organic search traffic in addition to acting as compelling content that can be shared through social media or an Account Based Marketing nurture email campaign. Making content compelling applies outside the digital realm, as well. Pitching Thought Leadership to conferences, Write2Market ensured SmartCommerce CEO Jennifer Silverberg was invited to speak at the Path to Purchase Expo with other tech leaders and major CPG brands. Continuing with the Digital Convergence Forum in June 2017 and this year’s Path to Purchase Expo, Write2Market continues to facilitate the Thought Leadership of SmartCommerce by supporting all marketing efforts. SmartCommerce has received awards and recognition including Tag Top 40, CGT Editor’s Choice and most recently CEO Jennifer Silverberg was named one of Retail Leader’s top women changing the retail world alongside CEOs from Walmart, Kohl’s, Accenture and more. SmartCommerce is now viewed as an established technology innovator in the CPG eCommerce space that is growing faster than ever before. A focus on Thought Leadership across the board has driven marketing success for SmartCommerce. Earned media, social media, blog content, explainer videos, interviews, infographics and conference speaking. At each point that SmartCommerce interacts with the world, there is a focus on being thought-provoking and informative. Thought Leadership is not just a buzzword or a loose concept, but a guiding principle for the management of digital content for Write2Market clients. Next PostStanding Out In the Crowd - You Wrote a Great Blog Post, So What?